16 pp. Roman, 403 pp. The central Chadic language Lamang is spoken in northeastern Nigeria and northern Cameroon. However, its estimated 100,000 speakers do not form a separate ethnic group. The present compilation consists of transcriptions of various oral traditions in the Lamang language collected by the editor during two field researches in the Goza region of Nigeria in 1968–1969 and 1973–1974. The texts deal with the traditional system of beliefs and religious rituals, the human life cycle, traditional law, myths of origin and migration, local history, and a selection of songs, fables and moral tales. The editor favours an emic perspective, allowing members of the Lamang community to speak for themselves. Thus, the English translations, which form the main part of the book, closely follow the structure of the Lamang texts to reflect their characteristic word order and metaphors as truthfully as possible. 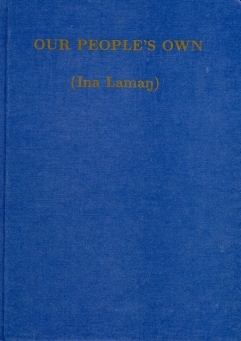 Full transcriptions of the Lamang originals are given in an appendix. Additional appendices deal with the kinship systems of several Lamang-speaking groups and provide glossaries of cultural and kinship terms.